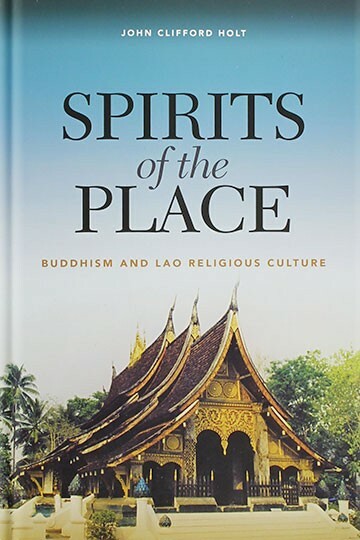 Spirits of the Place is a rare and timely contribution to our understanding of religious culture in Laos and Southeast Asia. Most often studied as a part of Thai, Vietnamese, or Khmer history, Laos remains a terra incognita to most Westerners—and to many of the people living throughout Asia as well. John Holt’s new book brings this fascinating nation into focus. With its overview of Lao Buddhism and analysis of how shifting political power—from royalty to democracy to communism—has impacted Lao religious culture, the book offers an integrated account of the entwined political and religious history of Laos from the fourteenth century to the contemporary era. Holt advances the provocative argument that common Lao knowledge of important aspects of Theravada Buddhist thought and practice has been heavily conditioned by an indigenous religious culture dominated by the veneration of phi, spirits whose powers are thought to prevail over and within specific social and geographical domains. The enduring influence of traditional spirit cults in Lao culture and society has brought about major changes in how the figure of the Buddha and the powers associated with Buddhist temples and reliquaries—indeed how all ritual spaces and times—have been understood by the Lao. Despite vigorous attempts by Buddhist royalty, French rationalists, and most recently by communist ideologues to eliminate the worship of phi, spirit cults have not been displaced; they continue to persist and show no signs of abating. Not only have the spirits resisted eradication, but they have withstood synthesis, subordination, and transformation by Buddhist political and ecclesiastical powers. Rather than reduce Buddhist religious culture to a set of simple commonalities, Holt takes a comparative approach, using his nearly thirty years’ experience with Sri Lanka to elucidate what is unique about Lao Buddhism. This stimulating book invites students in the fields of the history of religion and Buddhist and Southeast Asian studies to take a fresh look at prevailing assumptions and perhaps reconsider the place of Buddhism in Laos and Southeast Asia.